Meals That Connect provides free, hot, noontime meals to seniors 60 years of age and over throughout SLO County. These meals are delivered every weekday to one of ten lunch sites throughout the county or directly to clients' homes. In addition to serving hot nutritious meals, our volunteers personally visit our homebound clients, offering social contact as well as emergency assistance when necessary. 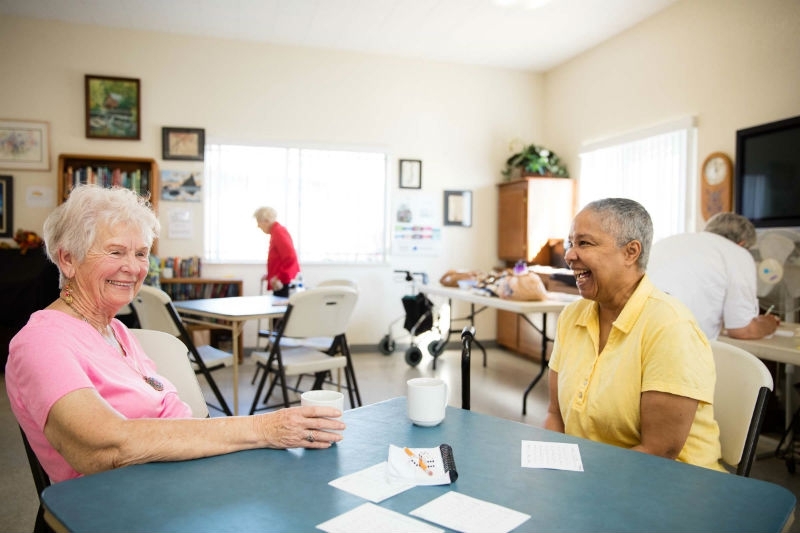 We will enhance health, restore dignity, support independence, and reduce isolation for every San Luis Obispo County resident in need who is at least 60 years of age by providing meaningful connections and free, hot, noon-time meals delivered to community dining sites or at home. The Older Americans Act (originally enacted in 1965) offers support to local agencies in order to provide services for America's aging population. Making sure that seniors have nutritious meals to eat is one of these services. The EOC (Economic Opportunity Commission) provided these services for San Luis Obispo County from 1974-1984, followed by the AAA (Area Agency on Aging) from 1985 - 1991. Meals That Connect (formerly The Senior Nutrition Program of San Luis Obispo County) was incorporated in 1991 as a private non-profit agency and has proudly been providing nutritious, hot lunches to seniors for over 25 years.